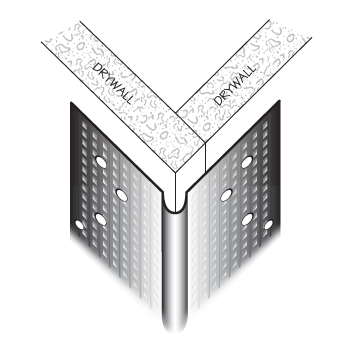 To give you a superior joint compound adhesion and maximum protection for a professionally finished corner, CCCorp. 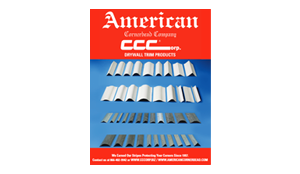 / American Cornerbead Company manufactures its metal cornerbead with proprietary electro galvanized coated steel and a deep knurling (embossing). Our proprietary electro galvanized steel coating gives our cornerbead a dark (dull) appearance and superior adhesion qualities compared to shiny hot dipped galvanized steel.